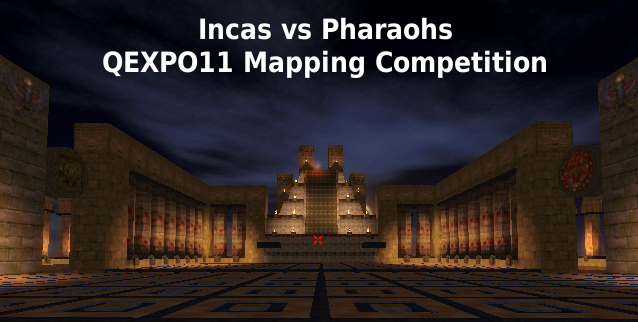 To celebrate the release of my new mod, Incas vs Pharaohs, which was made available for download at the beginning of this QExpo over at my booth, I’m organizing a little mapping “competition.” The rule is simple: you just need to create a map playable with the mod. There are two deadlines for this competition. The first is one day before the end of QExpo (Friday June 24, 11.59pm CST), the second is a month later (July 24, 11.59pm CST). The rules are the same for both deadlines. The extended deadline is just meant to appeal to participants who are going to be too busy during QExpo, who will hear about this competition too late or who simply need more time to build their map. If more than one map is submitted by the end of the first deadline, maps that have not won first place will automatically run in the second part of the competition (with the extended deadline). Participants are free to submit more than one map. Submission should take the form of a direct link to the map on the Inside3d forums – and if you can throw in a few screenshots into the mix, that’s even better. Instructions on special functions and objects to be incorporated to make your map compatible with the mod are bundled with the mod itself (check the read me PDF). 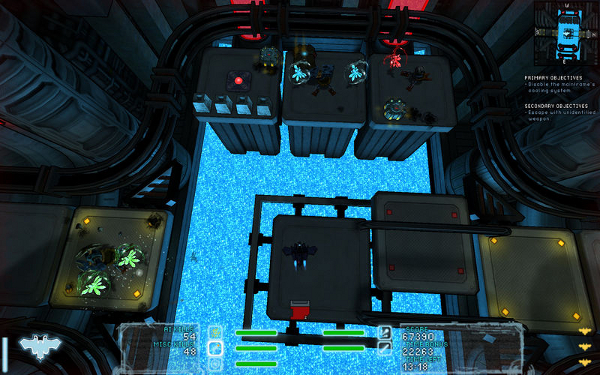 The source of the main map will also help you figure things out. While you are not allowed to use the source of that map as a base, you may copy-paste one of its “tiles” (this will make more sense once you play the mod) into your new map and use it as a starting point.